The new year is here; have your thoughts turned to setting New Year`s resolutions? As a business who is centred around helping others create change, we find January to be the most exciting time of year! It`s time to wipe the slate clean and start anew. It`s time to leave the old and turn your thoughts to creating change. If you`ve set resolutions in the past, only to find your enthusiasm fading a few days into January, there are simple steps you can take to make this year different. Transform your resolutions into realities with our simple step-by-step strategies. 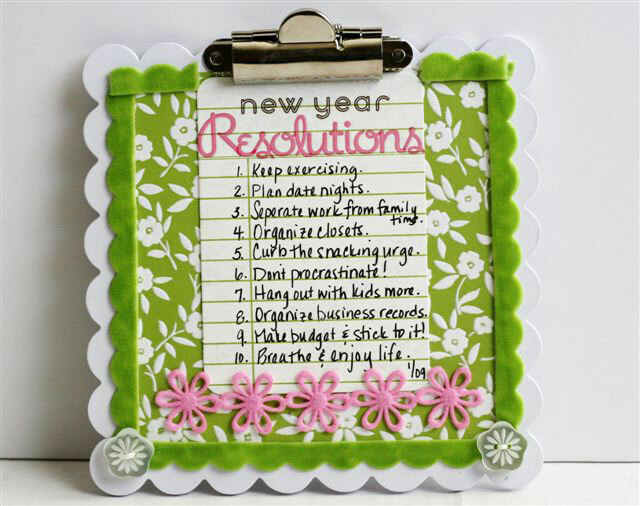 Is your typical resolution list a list of things you should do rather than a list of things you want to do? Give yourself permission to dream about what you really want. Maybe you’ve grown tired about the clutter in your home, or the stress of the morning routine as you and your family race around looking for homework papers, backpacks or something clean to wear. Or, perhaps you`re wishing for a new job, or you dream of eating healthier or getting into shape. Regardless of the nature of your resolution, the first step in making it a reality is to listen to those little whispers (or loud shouts!) that are telling you what you really want. If your New Year’s Resolution list typically looks like a laundry list of every single thing you’d like to change about yourself and your life, try a new approach this year. Focus on just one or two meaningful things. You’ll create results more quickly and those results are more likely to stick. Your mantra? Fewer things. More results. 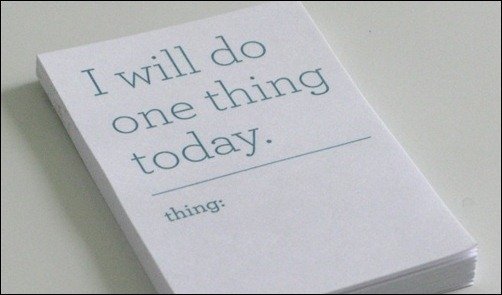 Once you’ve created your list of things you want, the next step is to decide that you’re going to do it! Deciding is the difference between saying ‘I wish I was more organized’ and ‘I am getting more organized’. Once you’ve decided to do it, cement your decision by doing something that shows your commitment. Tell a friend about your resolution. By deciding, and then going public with your decision, you’ll motivate yourself to take action. We know this is a tough one, but asking for help is truly an empowering thing to do. So if you don’t have all the answers about how to accomplish your goal, or there’s something that you know for sure is standing in the way, reach out for the resources, ideas and people you need to get moving. Help comes in many forms. You could research ideas online, read a book, take a class, ask a friend for help, work with a coach or mentor. Regardless of the form of support you choose, you will get where you want to be more quickly and you’ll enjoy the process more , too. Here’s another mantra for you: Action Creates Change! So the sooner you begin taking steps in the direction of your goal, the sooner you’ll cross the finish line. So, why not start right now? You don’t have to figure out every single detail before you get started. Instead, figure out one or two steps you could take, and just take them. As you move forward, you’ll create momentum and enthusiasm, which means all the steps to come become easier and easier to take. By taking action, you will gain confidence, and the next steps forward will become easier to accomplish. Regardless of the goal you’re after, you’re going to be (much, much!) more likely to achieve it if you make it part of your regular routine. Decide when you will work on your organizing projects, or go to the gym or search for that new, fulfilling job, and then schedule to fit it in to your regular routine. As you consider the changes you’d like to make in 2012, whether it’s to get organized or go after another goal, carve out the time in your schedule to make it happen. So there you have it, six simple and effective techniques you can use to transform your resolutions into reality for 2012! We hope you use them to create exciting positive change in your life in the months ahead. We wish you the happiest of new years and much success on the journey to your goals. Weekly Quick Tips – Let the Post-Holiday Declutter Begin! Let the Post-Holiday Declutter Begin! The post-holiday declutter has begun in the Organizing Lives’ households! With so many additional items on the to-do list in both November and December, plus an unusual inflow of new stuff into our homes, it is normal for clutter to build up a bit this time of year. As you go through your own post-holiday decluttering, remember to focus on yourprogress and let go of perfection. Perfection says to get your home perfectly in order right away, which adds to the stress of clutter. Progress, on the other hand, says to tackle the project in steps, over a period of days or even weeks, focusing all the while on the fact that your home is beginning to look better, and feel better, too! Take action! If your home needs a post-holiday declutter session and you’re feeling overwhelmed, begin by making a simple list of the areas you’d like to declutter. Then, tackle your list one item at a time, keeping your eyes focused on the progress you’re making, instead of what is still lingering on your to-do list. You’ll feel better, and stay more motivated during the process. Ahhh….a new year! And with it, the possibilities are endless and exciting! It’s a chance to reflect on the past year, take stock of what’s working, and assess what changes you’d like to make in the year ahead. If your goal is to become more organized this year, you are not alone. Real Simple Magazine tells us that 78% of people say ‘get organized’ as one of their top priorities for 2012. Do you crave the peace, calm and beauty that greater organization would offer you? There’s something undeniably satisfying about cleaning up and clearing out. When you endeavor to really take stock and let go, you do more than simply rid your space of clutter; you begin to see what you have with fresh eyes. And something else happens too. New spaces begin to open up, inviting you to move your life forward, one step, one decision at a time. Cancel subscriptions for newsletters, newspapers, and magazines you don’t read. At the office, eliminate unnecessary product information and promotional materials. Handle paper immediately. Take action, file, or discard. It takes a merciless and vigilant strategy to combat paper clutter. It demands that we make choices and decisions that may have needled or even paralyzed us for years. But, by clearing paper clutter, we save time looking for misplaced or lost documents. We will effortlessly retrieve what we need when we need it. When paper clutter is under control, space opens up in our homes, and in our minds. We stop the turmoil within us when we cannot find something and are rewarded with a greater sense of calm that flows from an orderly physical environment. Have you ever wondered, ” I’d really love to get more organized, but is it truly possible to stay organized?” If you’ve ever finished an organizing project only to see your efforts unravel in a matter of days (or even minutes! ), it can be extremely disheartening the next time you get the urge to create order. But here’s some really good news-it is possible to stay organized. The secret is to build staying organized into your regular routine. 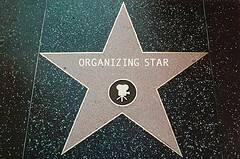 First, recognize that getting organized is the first step in the process of stayingorganized. The “getting organized” phase is when you set up systems for all the stuff in your life-your paperwork, office supplies, clothes, food, dishes-you name it! Often people think this is the end of the organizing journey, but in many ways, it’s just the beginning. What comes next is creating the habits to use your new organizing systems as they were intended to be used. It is during this second phase that you really reap the rewards of living an organized life. The real secret to staying organized, then, is to carve out time in your routine to use your organizing systems, and to do the tasks they are designed to help you do. A bill-paying system only works if you carve out time to pay your bills, just as a paperwork system will only keep your papers organized if you make time to tackle your paperwork and file your papers. When you build staying organized into your daily and weekly routine, it can become as habitual as brushing your teeth. Start by setting up your systems and identifying the habits necessary to stay organized. Then, build those habits into your weekly routine. For example, you could decide to pay bills on Fridays and create the habit of doing paperwork and filing stray papers every single day. If you do a little bit every day, it will take less time and be less of a chore than you think. With new habits in place, staying organized will simply become your new way of life. Ah, keepsakes, memorabilia…..those photos, cards, letters, programs, babyclothes and knickknacks that remind us of the people, places, and times in our lives we love best. Memorabilia can be a wonderful thing, but it can also grow to beoverwhelming, and can sometimes seem nearly impossible to store in any remotely orderly way. Fear not; there are ways of weeding out the mementos you truly want to keep and create storage that will keep them safe, accessible and contained. When it comes to sorting items with sentimental value, many traditional organizing tactics go out the window. Asking ‘when was the last time I used this?’ might be an effective way of deciding whether to keep a certain kitchen utensil, but it’s not very useful when you’re faced with a stack of old letters. Memorabilia often brings with it a raft of hidden emotions, and sorting through it can require the emotional equivalent of ‘kid gloves’. Before you start sorting, try to prepare yourself for the feelings that might come up as you go through the mementos you’ve gathered. 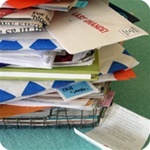 Break down your sorting sessions into reasonable chunks and give yourself time to decompress as needed. Perhaps more importantly, be kind to yourself as you sort. If you’re feeling overwhelmed, stop; making rash decisions when you’re confronted with too many emotions can cause more harm than good. When you’re ready to sort, get yourself in the habit of asking ‘why should I keep this?’ for each item you come across. Of course you won’t always have a positive – or any – answer to this question. If you’re finding yourself holding on to things only because you feel you should, because they allow you to live in the past rather than in the present, or out of spite for another family member, it may be time to let them go. Keepsakes that simply takes up space, or, worse, reminds you of bad memories or brings up negative feelings, probably doesn’t deserve a place in your home, or your life. 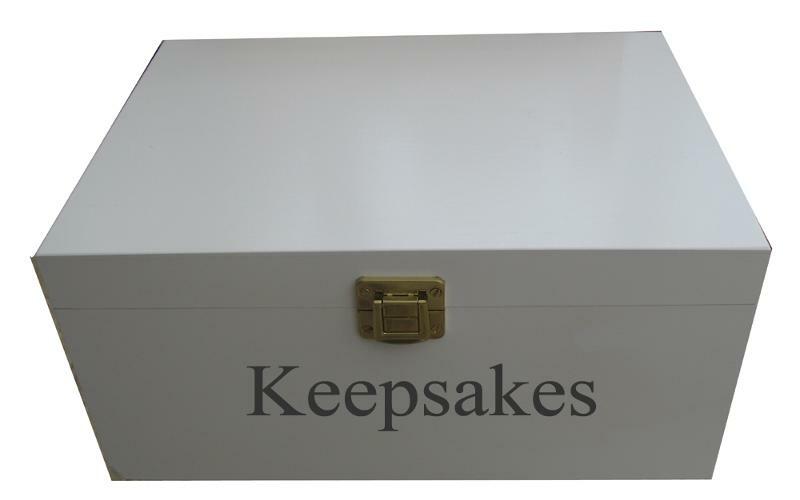 When it comes to storage solutions for keepsakes, the Organizing Lives philosopy is to keep it simple. Because no one method of organizing, or storing ‘keep’ items works for everyone, we coach our clients by asking the same question we want you to ask yourself. ‘Do I need to access or see my memorabilia on a regular basis?’ If not, a labelled bin, its’ size dictated by its’ contents, and vice versa, on a storage room shelf is the perfect solution. However, if your special mementos are something you will share with others or access on a regular basis, a decorative basket or box displayed to match your decor may be the answer. What does remain consistent is that your keepsakes have a ‘home’, and the size of the home will always dictate your limit of collecting. One bin, basket or container per family member, overflow not part of the deal! Practical, functional and sentimental, all rolled into one. With memorabilia, as with many other things, the more you keep, the less likely it is that everything in your collection will be meaningful, and the harder it’ll be to find space for the pieces that are truly important to you. Setting limits doesn’t mean you need to be spartan in what you keep, or that you must force yourself to get rid of memorabilia that truly has value to you. Rather, it means focusing on the quality of what you keep, and less on the quantity.